“Hypophosphatasia (HPP) is a rare disease that an estimated 70% of our medical professionals are not even aware exists. 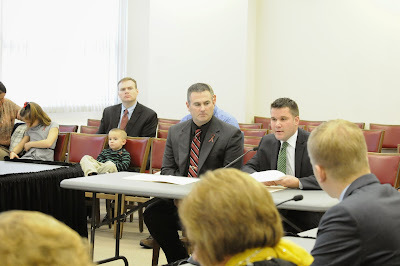 By raising awareness and educating the public, it is our goal to effect earlier diagnosis and treatment of HPP.” ~ Rep. Adam Brown. Rep. Brown says he was first made aware of HPP through a local area family whose three-year-old son was recently diagnosed with the disease. It is estimated that 1 in 100,000 newborns are born with HPP. With almost all forms of HPP, bones become soft because they cannot absorb important minerals like calcium and phosphorous; in some people, this can cause problems with bone growth and strength and lead to broken bones and bone pain. Read more of the story.